After the Treaty of 1862, Manitoulin Island was opened for white settlement. Small towns sprang up out of the bush, and hotels were developed to provide lodgings for prospective land purchasers. As boats travelling between Sault Ste. Marie, Collingwood and Owen Sound established regular ports of call on Manitoulin, the hotels prospered, due to increased traffic. Gore Bay, for many years was served by three hotels. The first hotels were the Atlantic Hotel and the Campbell House, located on the harbour. Both hotels burned before 1886. The Ocean House (1879) and the Pacific Hotel (1900) were both located on Meredith Street, the main street of town. The Pacific Hotel was also known as the “Red Onion”, and had a very well frequented bar, where a shot of whiskey could be had for five cents. 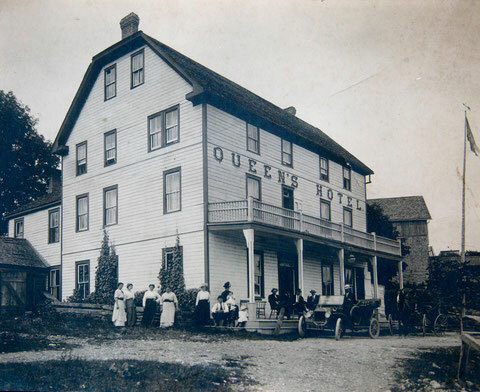 The Queen’s Hotel (as it was originally known) was built by Hector McLean around 1890. Hector’s father, also named Hector, tragically drowned in a shipwreck around 1854. In 1855, young Hector, his two older brothers, and their mother sailed to Canada from their native Scotland on a six week voyage. Upon arrival, they were placed under quarantine when it was discovered that smallpox had broken out aboard the ship. Hector became ill with smallpox, but recovered. When the family was released from quarantine, they travelled to Osprey Township in Grey County, Ontario. 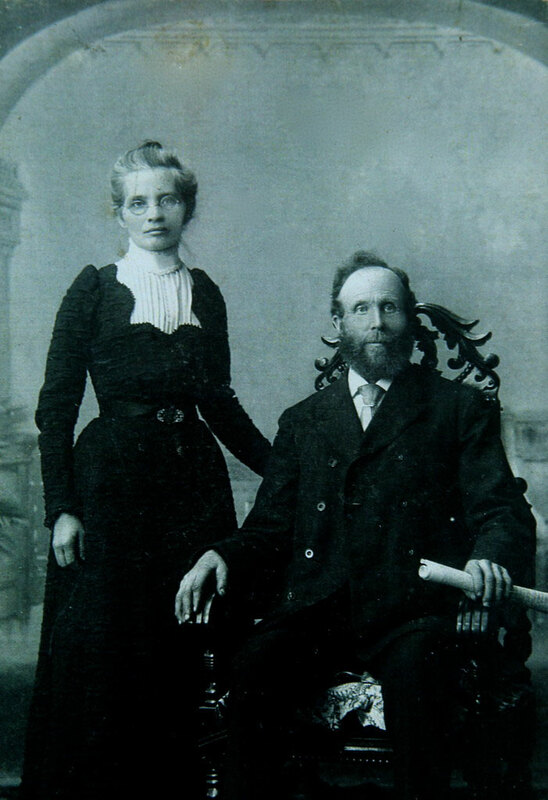 Young Hector grew up in Osprey Township, and eventually met and married a woman named Eleanor Witty. 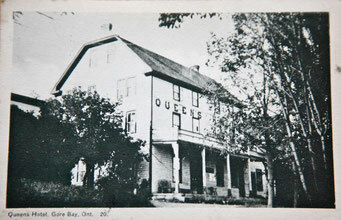 Later moving to Gore Bay, Hector built and began running the Queen’s Hotel. It’s said that while he was there, as much Gaelic was heard as English. Early rates were around $2.50 per day including meals. 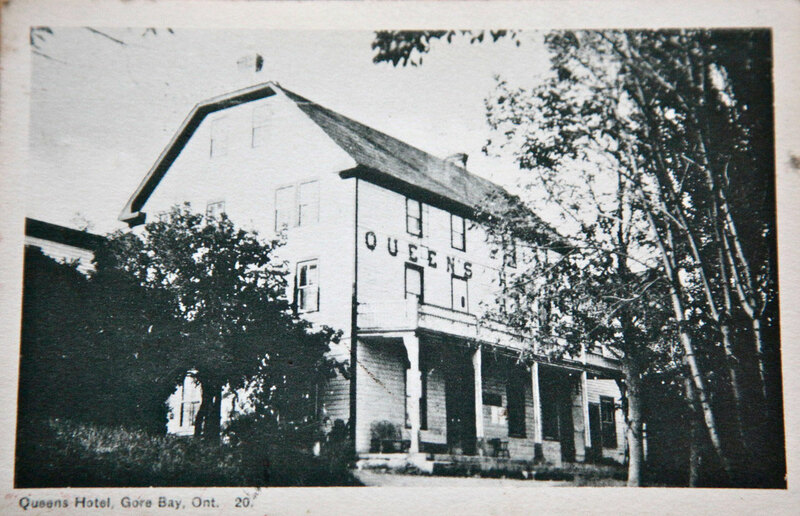 Some early innkeepers included Sam Burkholder, and the most well known, Arthur “Crusty” Bryan (1912-1940) who established The Queen’s Hotel as a “home away from home”. Many lively times were had in the Queen’s saloon, and guests who had over imbibed were taken to the next door livery stable to “sleep it off”. Milk was delivered in those days by horse and cart. The Queen’s Inn still has a circular drive, echoing times past. 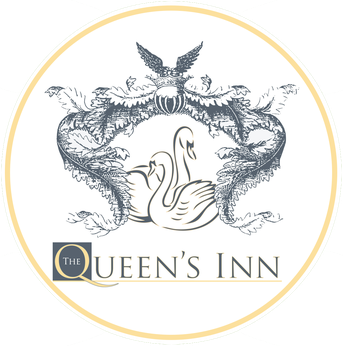 Since it first opened its doors for business in the late nineteenth century, the Queen’s has welcomed guests from all walks of life: commercial travellers – who brought goods to the expanding settlements, lawyers, doctors, fishermen, lumbermen and tourists. 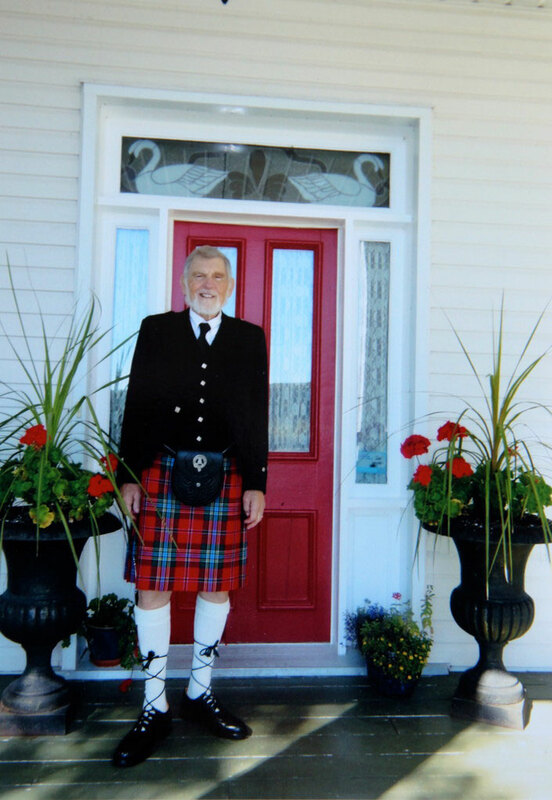 The Queen’s has long been a prominent fixture in the community of Gore Bay. The tradition continues.